1984 has come and gone, but George Orwell's prophetic, nightmare vision in 1949 of the world we were becoming is timelier than ever. 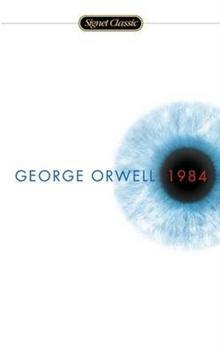 1984 is still the great modern classic negative Utopia - a startling original and haunting novel that creates an imaginary world that is completely convincing from the first sentence to the last four words. No one can deny this novel's power, its hold on the imagination of whole generations, or the power of its admonitions - a power that seems to grow, not lessen, with the passage of time.